Petmate's Hi-back Litter Pans help contain litter scatter with the high-profile back side and a lower front side allowing for easy access. Ideal litter box for large cats or those with messy litter habits. 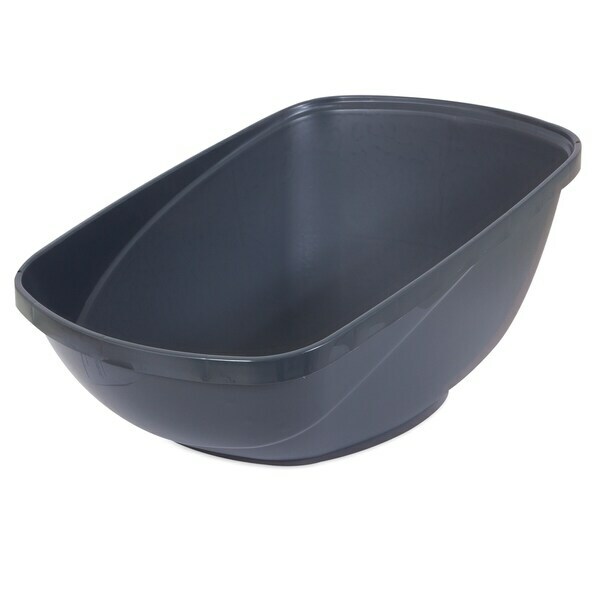 Made with durable eco-friendly plastic. Dimensions 19.25 In. X 15.0 In. X 9.0 In.